The lake, half-obscured by foliage. Craving an alpine escape? 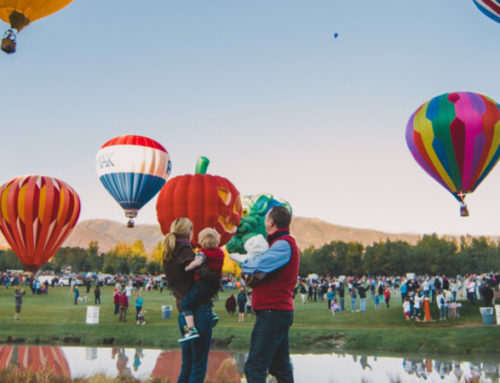 Perhaps, a place for the whole family (yes, even the furry ones) to hike, swim, and explore the Wasatch wilderness while making it back on Main Street for sunset and dinner? 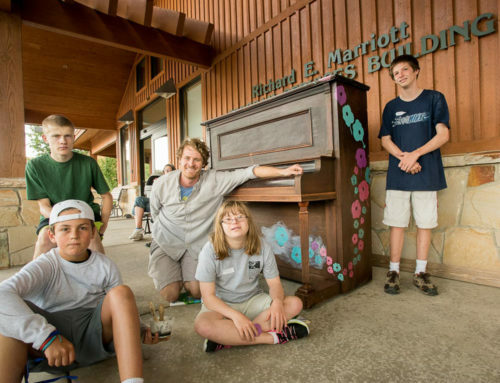 Luckily, this local favorite checks all these boxes and more! 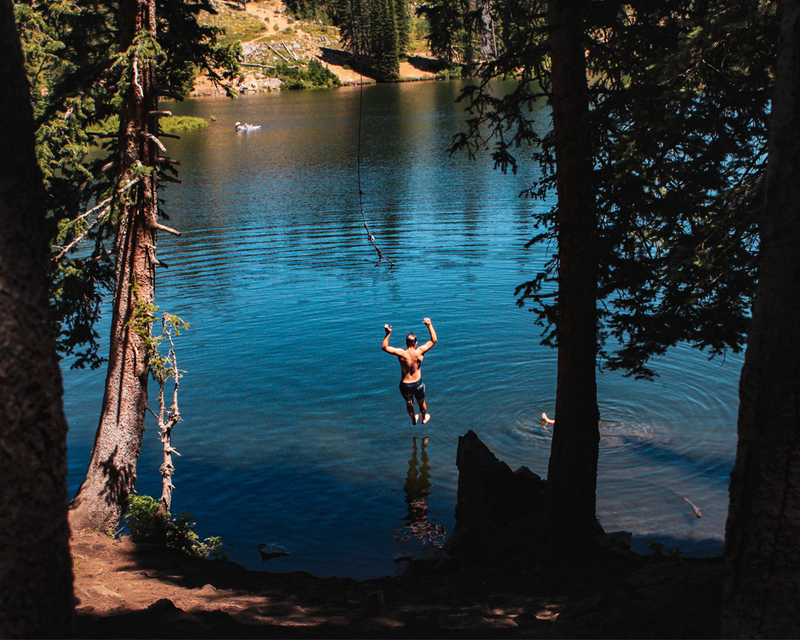 Clear your weekend plans, pack a swimsuit and head into the Mountains for Bloods Lake. Swing into action from the rope swing. Nothing like its namesake, Bloods Lake is a pristine cerulean hue with peninsulas, rock features, and even a rope swing! 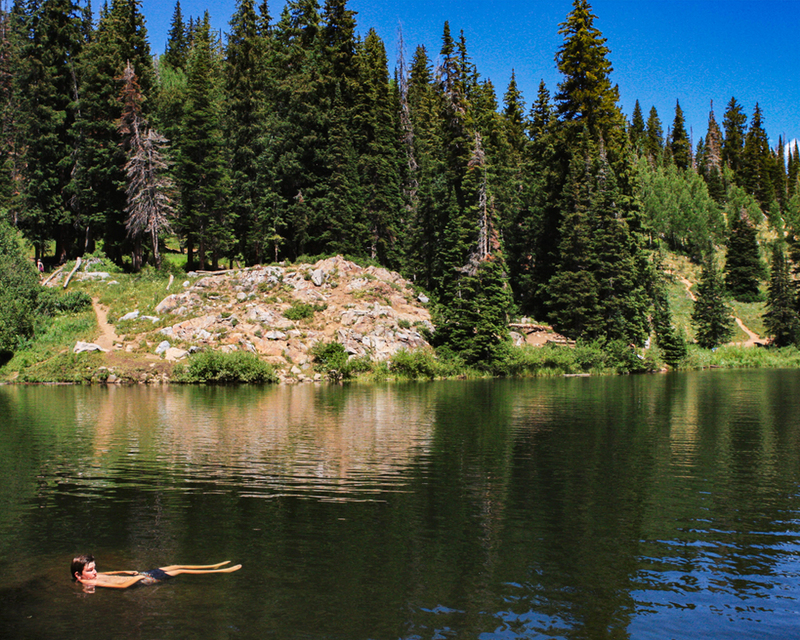 Although the water is chilly, it is the perfect refresher in the heat of Utah’s summer months. Along its banks, there are flat openings for sunning or perfectly spaced trees for stringing up a hammock and relaxing in the shade. Enjoy a totally tubular time. 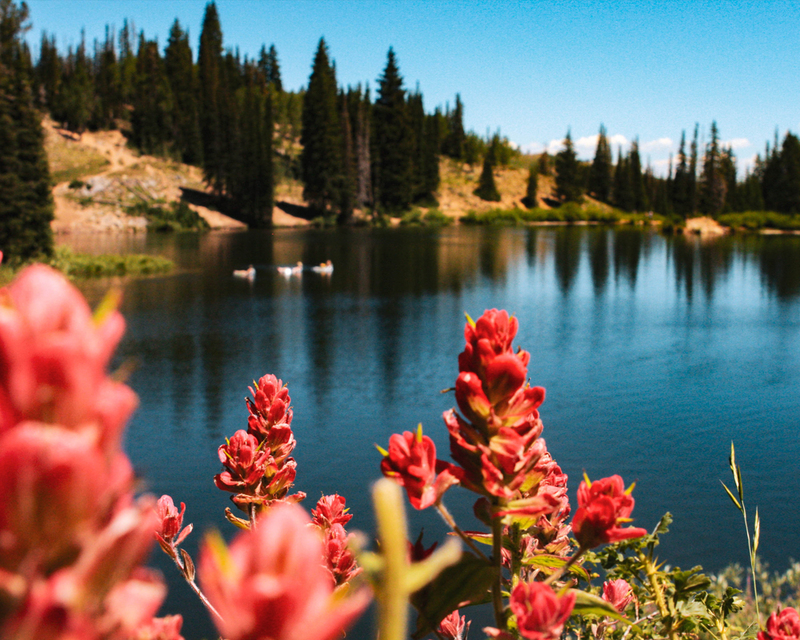 The hike to Bloods Lake begins at 9,724 ft and rambles through patches of wildflowers, small boulders, and mature conifers, all the while providing sweeping vistas of the Heber Valley below. The trail is rated by AllTrails as an “easy”, out and back trail covering a mile of high altitude terrain. After a half-mile or so the trail steepens for a sharper decent to the lake itself. Remember this on your way back up to the trailhead as the initial climb is a total glute-burner. Pro tip: Find a walking stick to aid in the climb back up. Take a look out your window. A map of one way to the area. No matter which way you approach Bloods Lake, the drive is going to be gorgeous! 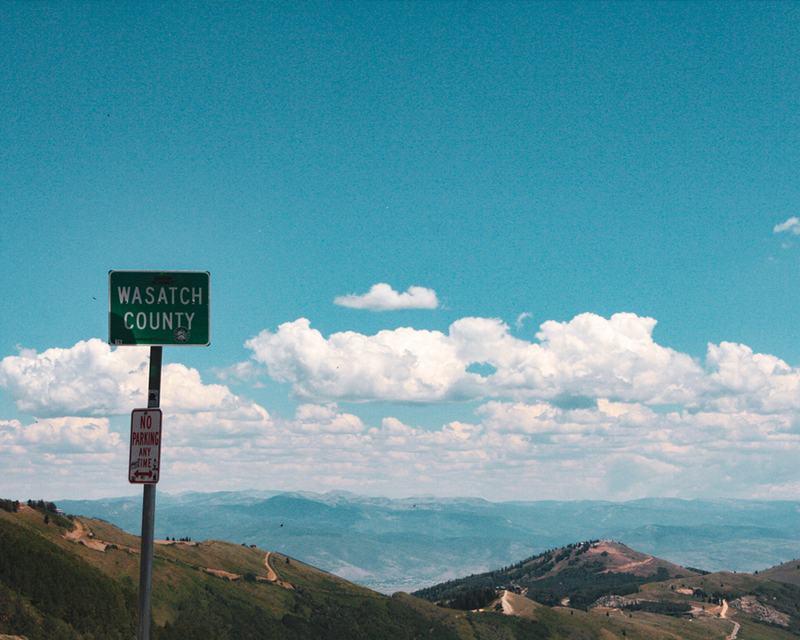 Guardsman Pass is one of 58 Scenic Backways designated by the State of Utah and if you are looking for epic mountain views, the drive will not disappoint. 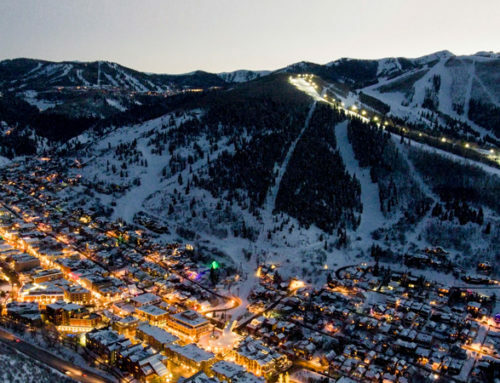 It takes 20 minutes from Main Street Park City to the Guardsman Overlook parking lot but expect for it to take longer with all the beautiful backcountry views that demand attention. Remember that Guardsman Pass is only open from May to October and there are gravel and dirt sections. A 4-wheel drive car is not necessary, but with steep drop-offs and an average 7% grade, you may feel more comfortable in one. 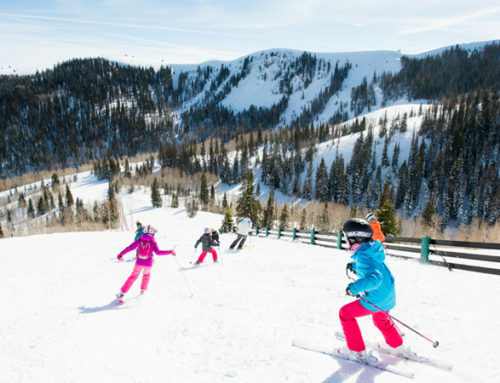 Pro tip: Follow the road west towards the Salt Lake Valley as Guardsman Pass Scenic Backway leads into the stunning Big Cottonwood Canyon Scenic Byway, home to Brighton and Solitude Ski areas. Due to Utah’s watershed laws, dogs are not allowed in many canyons throughout the Wasatch Front, including Big Cottonwood, which lies mere meters westward down Guardsman Pass. 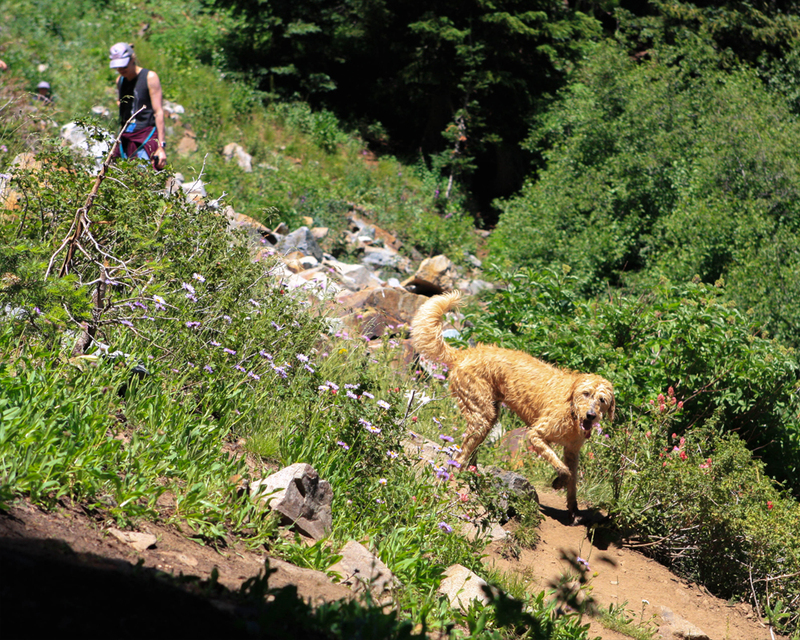 Luckily for us dog lovers, the trailhead to Bloods Lake descends eastward on the Wasatch Back and therefore is a very popular hike for dog owners in Park City and in Salt Lake! Expect to see them frolicing in the lake, or socializing off leash on its banks. Pro tip: Always bring extra doggie bags for any clean up—let’s keep our trails clean! It won’t be easy to find a spot. 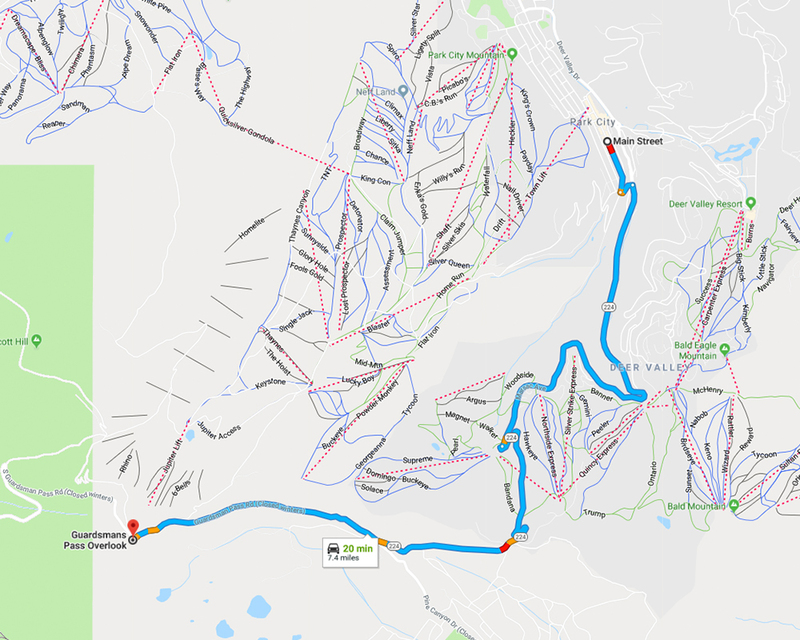 By 10:30 am, expect lines of parked cars adorning the cliff edges of Guardsman Pass Overlook as the small parking lot serves several, multi-use trails and accommodates no more than 15 vehicles. Arrive early to claim your spot or spend time gingerly navigating the skinny one-lane road for an opening on its shoulder. 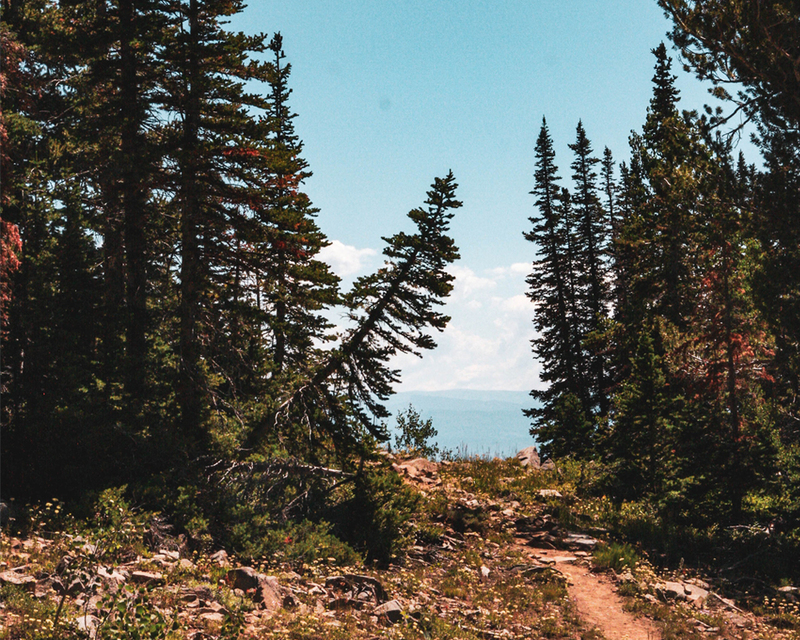 By mid-afternoon the area can be so packed with hikers, bikers, dogs, and sightseers it can take you longer to maneuver into a spot then it will take you to descend the trail to the lake itself. 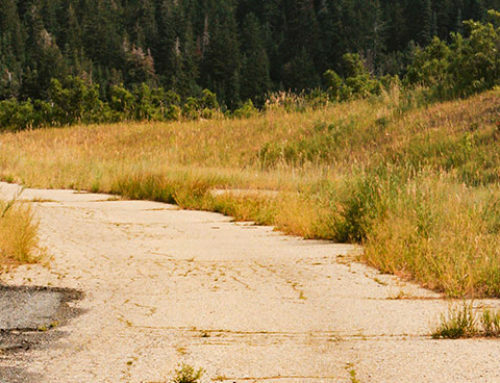 Consider yourself warned, especially if this destination is on your weekend agenda! Pro tip: If you are in search of solitude, avoid Bloods Lake on weekends. All said and done, an escape to Bloods Lake could take you a few hours or a whole day! Between its beauty, unique features, and sociable atmosphere, it’s no wonder Bloods Lake is a locals favorite. 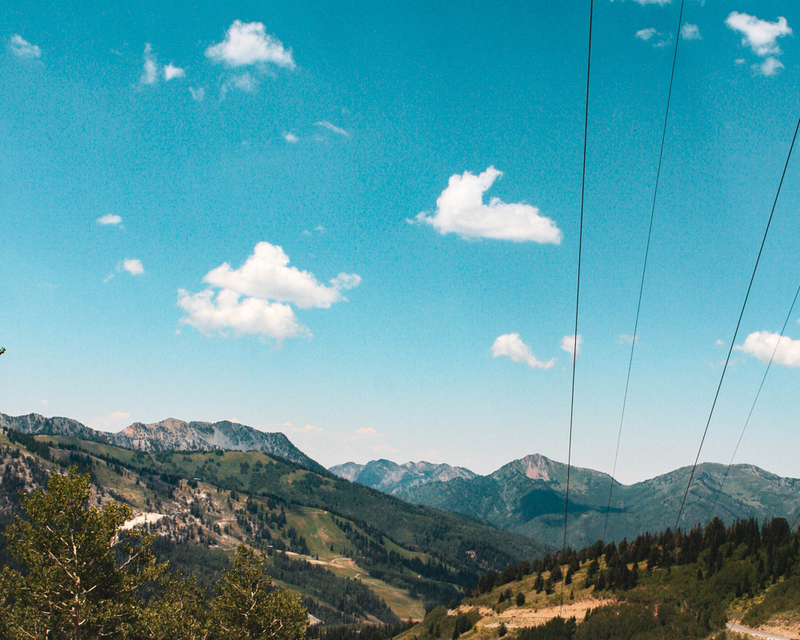 Make sure to visit before the summer ends, as Guardsman Pass closes for the season.